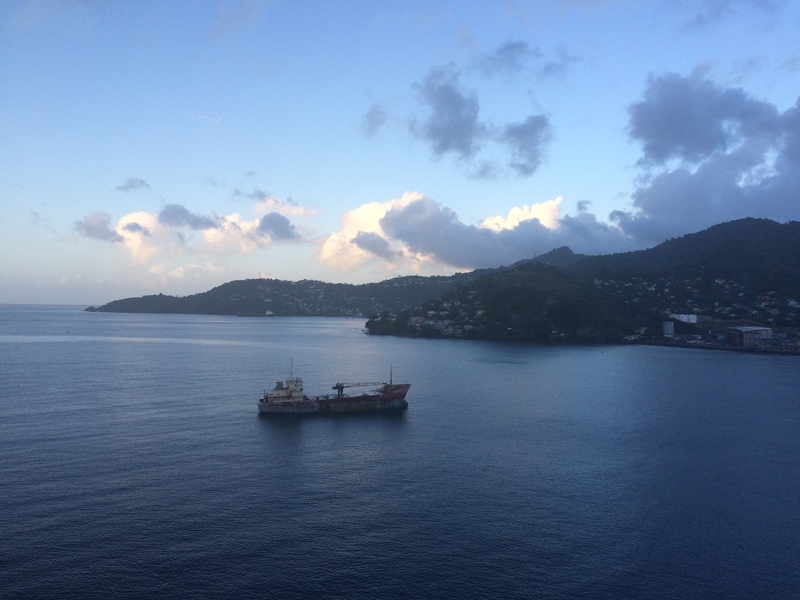 This post is the second in a series from my Caribbean Cruise in February 2015. You can read a review of Ventura, the P&O Cruise Ship I was on, here and find links to the rest of the posts here. We docked in St George in Grenada on Monday after spending a day at Sea on Sunday exploring the ship. We spent the morning at Fort George. The best thing about the Fort is that it is on a volcanic spine 175 feet above the harbour and has an amazing view of the coast. The Fort itself was built by the French as Fort Royal between 1705 and 1710 and has played a part in a number of revolutions and has had lots of different names. It was also the site of the execution of the popular Prime Minister Maurice Bishop and his supporters by the Marxist wing of his party in 1983. The Fort, like a lot of Grenada, was badly damaged by Hurricane Ivan in 2004. After seeing the Fort we decided to take a tour around St George’s on the tourist train. The trip was 45 minutes and it was a really nice way to see more of the capital of Grenada. 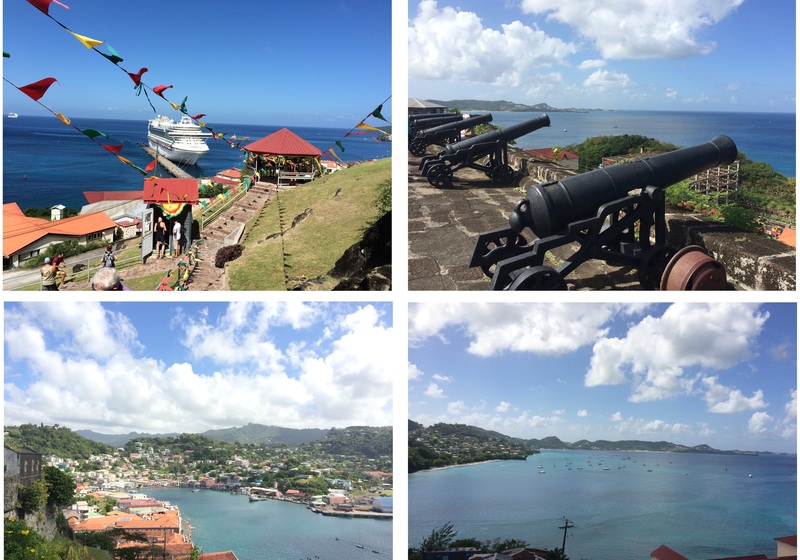 Obviously it was super touristy but I did feel like I connected with the locals anyway – I even received a marriage proposal from a passer-by as I was driven around on the little train so I would say that’s a fairly successful day in Grenada! The train cost $20 (USD) each which I think is a bit expensive, but it was undeniably an easy and novel way of seeing more of the city so I didn’t grudge paying a touristy price. I had a nice, relaxed day in Grenada but I definitely feel like there is a lot more that I would like to do on this island – like Hiking to The Seven Sisters – so I will just have to go back! It’s a hard life. Great post. I grew up in Grenada and actually in spite of my numerous visits home I have never visited the Fort. Our house had a great view of it too. It’s like anything else -I’ve lived in San Francisco 15 years and have never walked across the Golden Gate bridge. I do hope you get a chance to revisit Grenada. The countryside is lush and beautiful, Annandale Falls, Rum Factory, local food … enjoy the rest of your trip! !